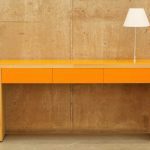 Console is a range of side tables that has been designed as a neat alternative to the traditional credenza. 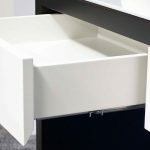 When AV is not needed and space is at a premium, Console gives you the opportunity to add compact storage and a serving platform to any meeting room or boardroom. 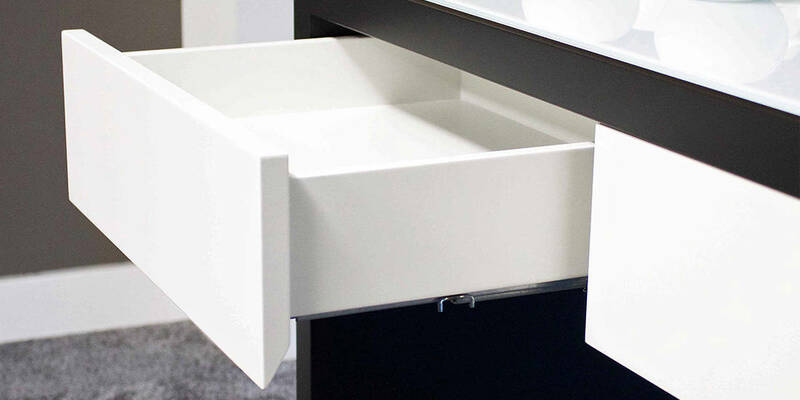 Available in lacquer, veneer or a combination of the two. 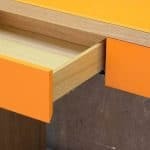 Option of matching shelf or soft close drawers. 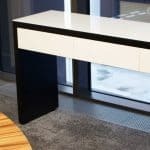 Decorative glass top available in contrasting or matching RAL colour. 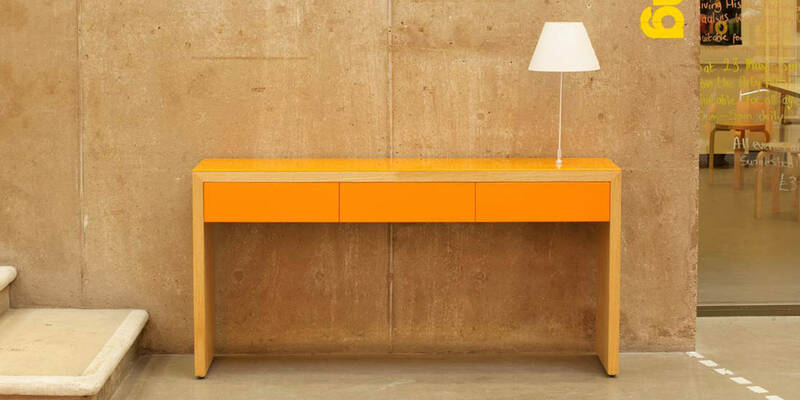 Costanzina table light is an optional extra. Available in a range of 10 colours.